When parents book a cruise with family members of all ages such as a Disney Cruise, they may be concerned about safety for the little ones, especially if it is their first family cruise. One family was concerned about their active toddler who was constantly "climbing out of his crib, up stairs, up on top of furniture, and basically into trouble all the time." They wondered if he would be safe on an upcoming Disney Cruise. The mom had heard about adults falling overboard on cruise ships and was afraid this active toddler might fall, too. Family travel experts suggest starting with a reality check. While grown-ups have been known to fall off cruise ships, and it's always a big news story when it happens, it's also an extremely rare occurrence. And that's because it's really, really hard to fall overboard without doing it intentionally or being extremely reckless. 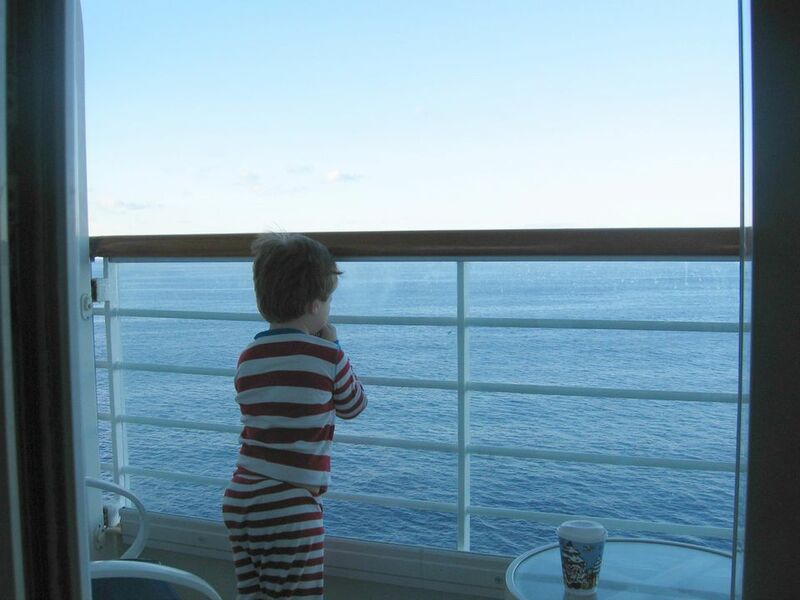 The guardrails on most cruise ships are at least 42-inches high, which makes them a challenge for any climbing toddler to scale. On Disney ships, below the top rail are steel fence-style rails covered by a sheet of transparent plexiglass, so there's nothing for little kids to climb on to get high enough to lean over the top rail. This is true of the railings on the ship's public decks as well as the balcony railings in staterooms with verandas. If your stateroom has a veranda, the door to the balcony is a heavy sliding door with a lock near the top. That lock will be well out of reach for your child. Should the door be left unlocked, the door handle is also child-resistant and a bit tricky to operate. The biggest potential danger is that veranda balconies have furniture—typically a low table and two chairs—which a small child could, potentially, push next to the railing and climb upon. Of course, you should never leave a child unsupervised on a balcony. You could also ask your steward to remove the veranda furnishings as an extra precaution. If you're still very concerned, the simplest solution is to opt for an exterior stateroom without a veranda or one of Disney's interior staterooms with an ingenious magic porthole, which gives you real-time views of what's happening outside the ship. Nobody should ever leave a small child alone on a balcony or running around a ship's deck unsupervised, but also don't let the fear of your child jumping overboard stand in your way of a truly fabulous cruise on a family-oriented cruise line. Close to half of people cruising, cruise with their children.